I usually like my fiction to be firmly placed in reality, with the likelihood that events within the books could actually happen. I don’t usually read sci-fi or fantasy novels for that reason. However I do have a fondness for a bit of time travel in a book. The first book I can remember reading which had included this idea was Charlotte Sometimes which I read when I was a child and read to my own daughters when they were younger too. The idea of travelling back in time fascinates me, especially if the person going back takes with them all their knowledge of the present day. More recent books with this theme which I have really enjoyed include The Time Traveller’s Wife by Audrey Niffenegger and The Summer of Impossible Things by Rowan Coleman. 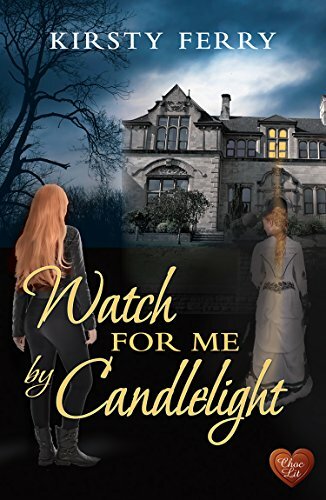 In Watch for Me by Candlelight, Kirsty Ferry has her main character Kate move seamlessly between the past and the present. Kate works in a folk museum in the village of Hartsford, close to Hartsford Hall. When she comes across a set of Victorian ice-skates she is quite fascinated by them and wants to find out more about their owner, Catriona Tredegar. And when she meets visiting farrier Theo Kent, she has a strong sense that they have met before…. The connection between Kate and Theo in the present is almost instant as there is a immediate spark of recognition between them. They quickly fall into an easy friendship and it is clear there is a promise of something more for both of them. “It was surprising how easily they managed to chat to each other – as if they had known each other for years.” However, Kate is in a relationship already and Theo has his own issues to contend with. In a similar way, Catriona and Will are also drawn to each other in the past but their love is not without its difficulties, being of very different social standing. I thoroughly enjoyed reading Watch for Me By Candlelight. It was a real page-turner for me with characters I really liked (well, except for Kate’s temporary assistant Jenna and Chris, Kate’s boyfriend!). The moving between the past and present was perfectly done with a real sense that it was all perfectly plausible. I enjoyed too the echoes of the characters and events from the past coming through into the present. The romantic element was beautifully done – I would expect no less in a ChocLit novel. I really hope that we might have a return visit to Hartsford, not just to find out what happens next for Kate, but also to get another glimpse into the history of the hall. 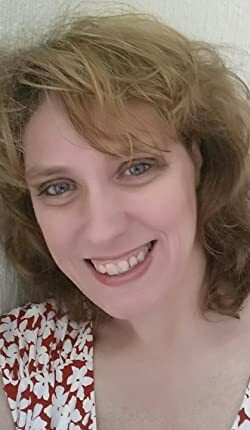 Her timeslip novel, ‘Some Veil Did Fall’, a paranormal romance set in Whitby, was published by Choc Lit in Autumn 2014. This was followed by another Choc Lit timeslip, ‘The Girl in the Painting’ in February 2016. ‘The Girl in the Photograph’, published in March 2017, completes the Rossetti Mysteries series.